Ever since Siemens acquired Mentor Graphics in 2016, a new phrase has become more common in the semiconductor industry – the digital twin. Exactly what that is, and what impact it will have on the semiconductor industry, is less clear. In fact, many in the industry are scratching their heads over the term. The initial reaction is that the industry has been creating what are now termed digital twins for the past 30 years. In some ways, they’re correct. 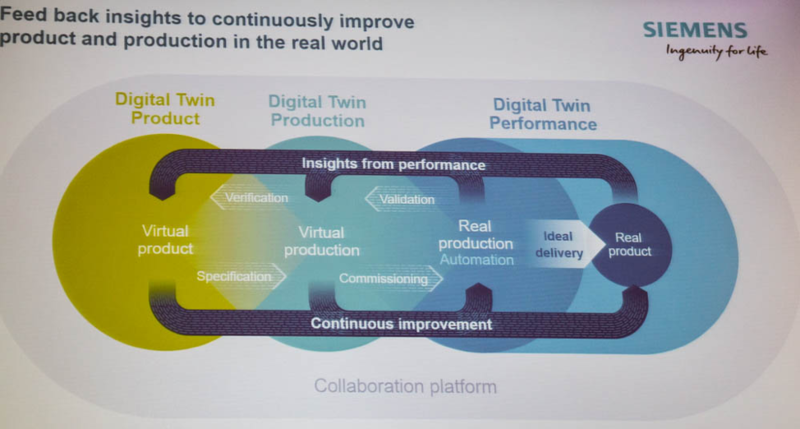 A digital twin is a digital representation of the current state of a manufactured product or system at any given point in time. A digital thread is a digital record of all states of a manufactured product or system over time from conception to disposal. Rarely does significant value come from improving a capability that already exists. Only when a completely new capability is offered does it becomes really interesting to the industry. Akiki pointed out the boundaries between the stages are blurring and dissolving. He believes that design has to become more sensitive to production capabilities and the potential costs associated with using particular capabilities. The EDA industry can approach this in one of two ways. It can assume we have all of the answers and try to push existing solutions into the rest of the industry, or it can listen to them and learn about their specific needs, perhaps creating some better model development flows.